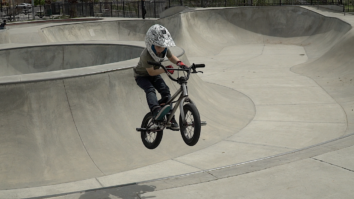 It’s never too early to get a Fit, which is why @fitbikeco introduced the MISFIT Balance bike! These 12” bikes encourage kiddos to learn balance and bike control early on, so they’re ready for pedals even sooner! Like the rest of our MISFIT line, they feature a reflective strip on the tires for added safety. Available in Blueberry and Berry, weighing in at just under 10lbs. Hurry and get your little ripper one for the Holidays and Let the Good Times Roll!